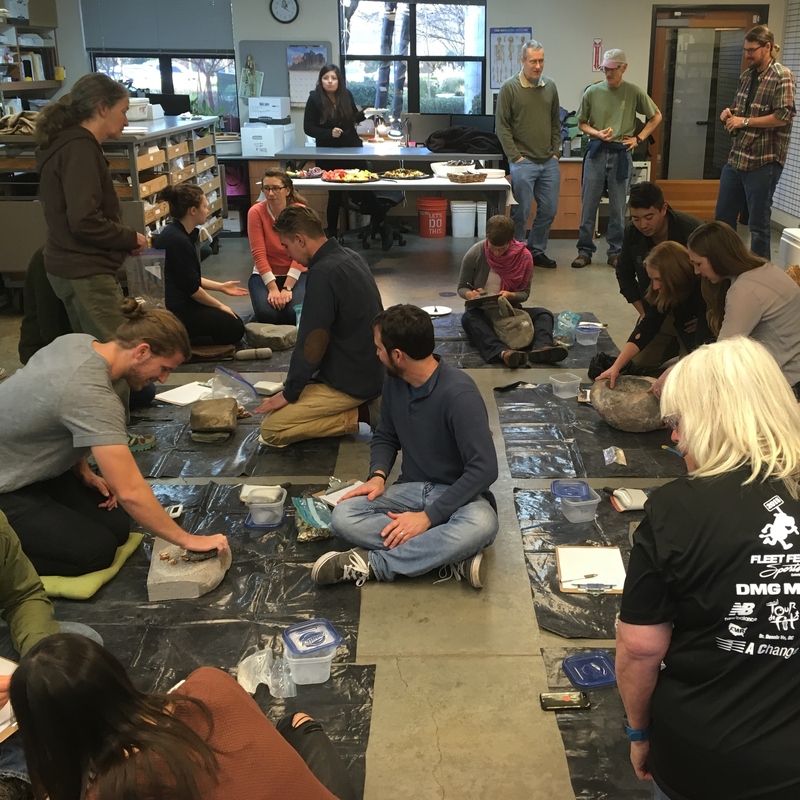 Volunteers from Far Western, Sacramento State University, UC Davis, and the archaeological community gathered in the Far Western lab at our headquarters in Davis, California, to participate in a set of experiments using ground stone tools. 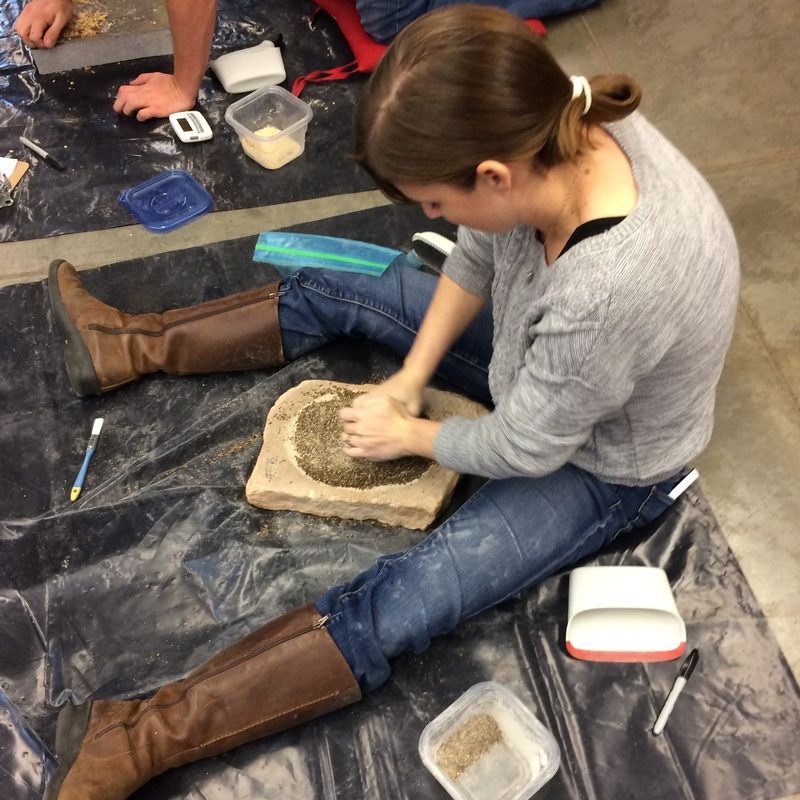 The tools used in the experiment were replicas of milling gear found in archaeological sites. 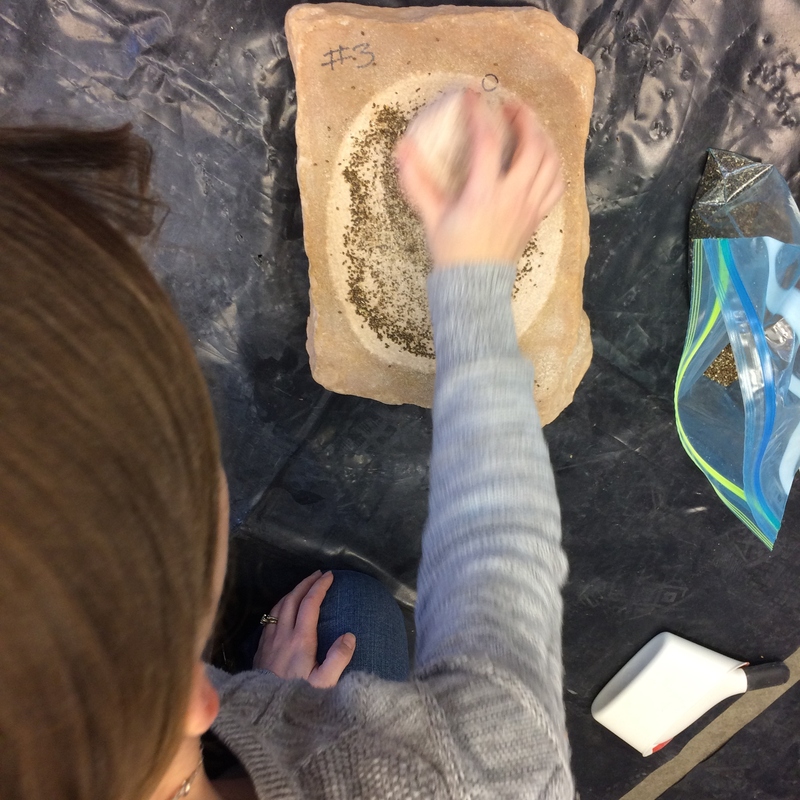 Tamara Buonasera, Ph.D., visiting from the University of Arizona, led the experiments; her work is supported by a grant from the National Science Foundation. 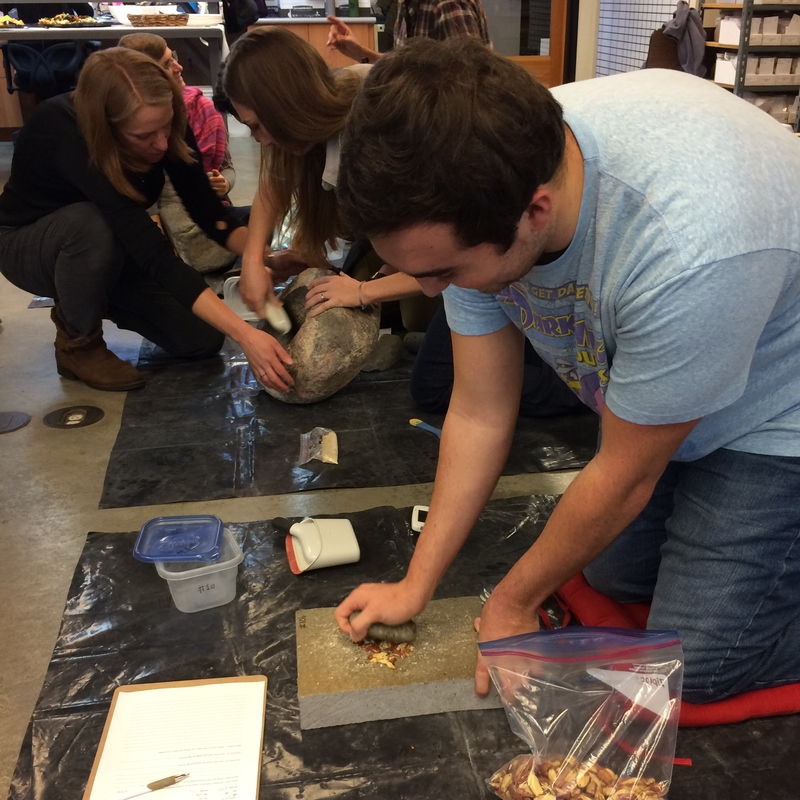 Dr. Buonasera specializes in the economic and social aspects of food processing among hunter-gatherers and has an extensive background in the preservation and taphonomy of ancient lipids. 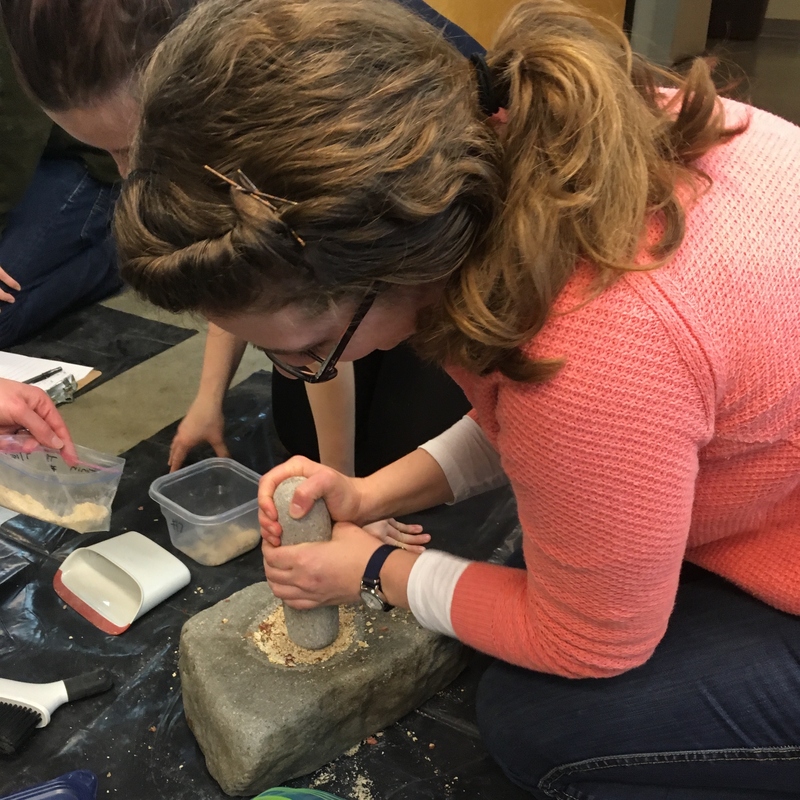 She pursues her research through analysis of organic residues and stable isotopes building on her studies in experimental archaeology, ground stone technology, and use-wear analysis in California, Alaska, and the Southwest. Buonasera opened the experiment by presenting background on her own research and how the results of these experiments will contribute to studies of prehistoric food processing world-wide. 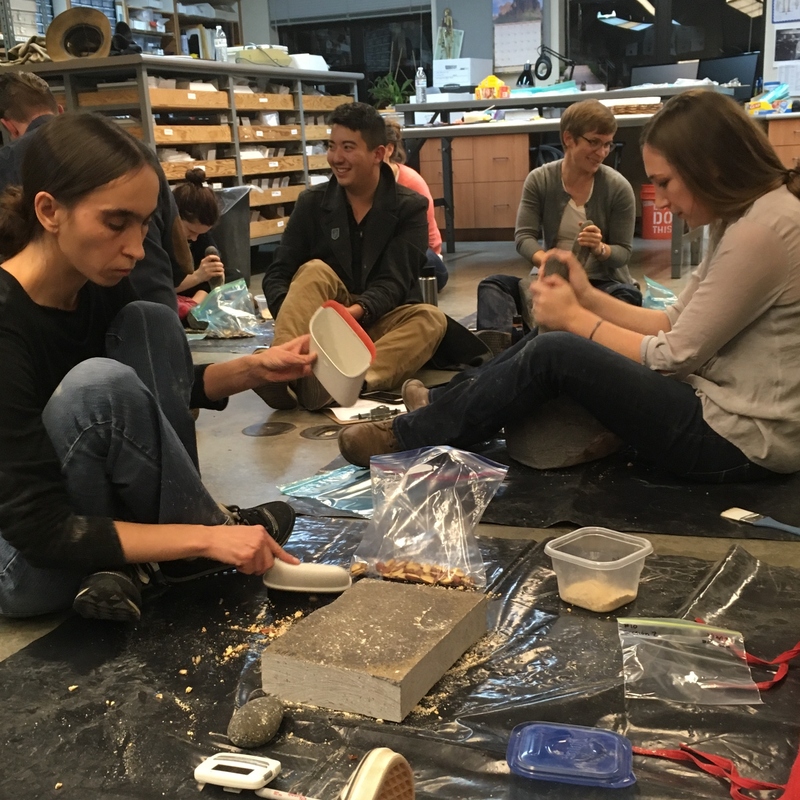 These and other grinding sessions are part of a larger project aimed at evaluating relationships between milling tool design, human mobility, and resource use. 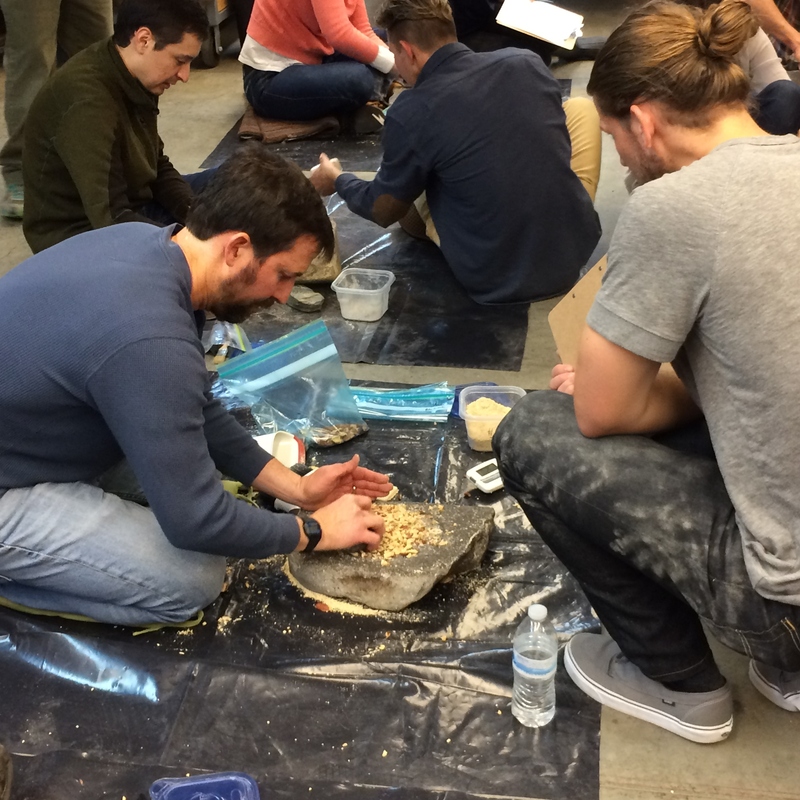 Nearly 20 participants paired-up on the cement floor of the Far Western lab to get their hands dirty through first-hand experience using a variety of milling tool designs. 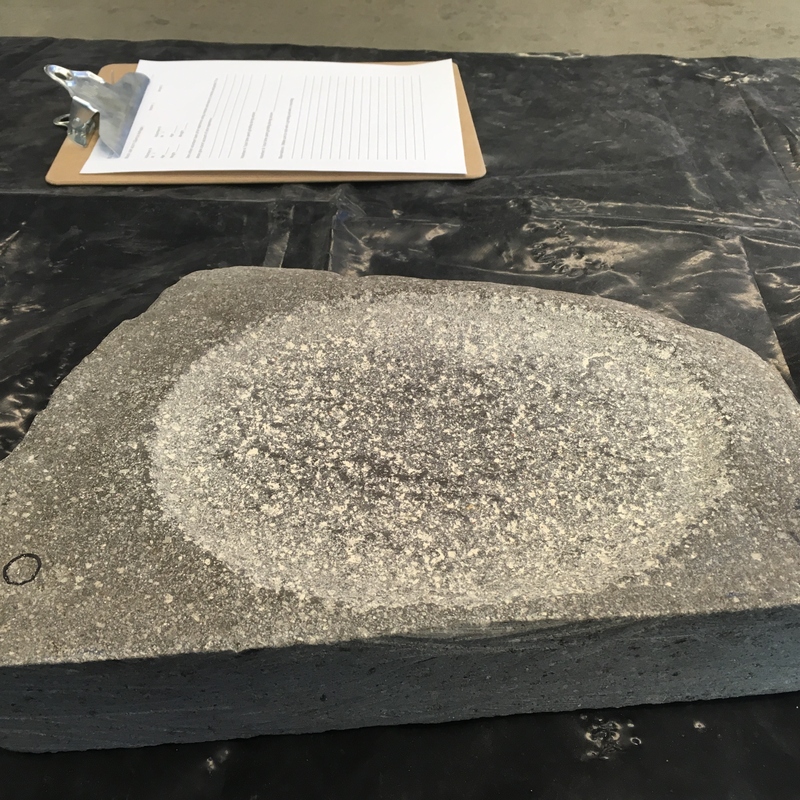 The tools ranged from large basalt mortars to flat sandstone grinding slabs. 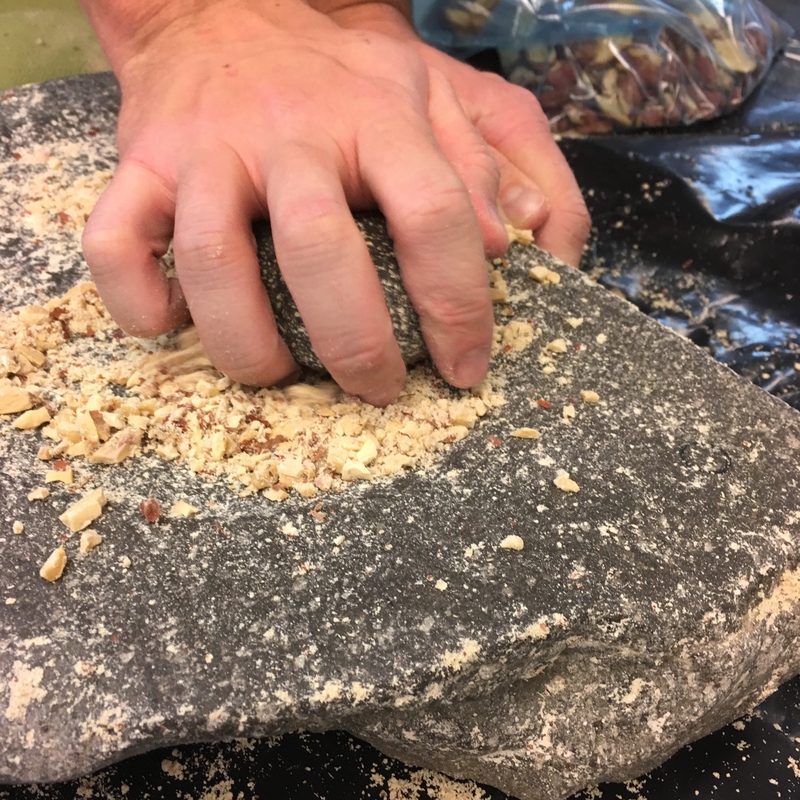 Each volunteer processed Indian rice grass seeds or acorns, known to have been used by Native Californians, into flour over two 30-minute segments. 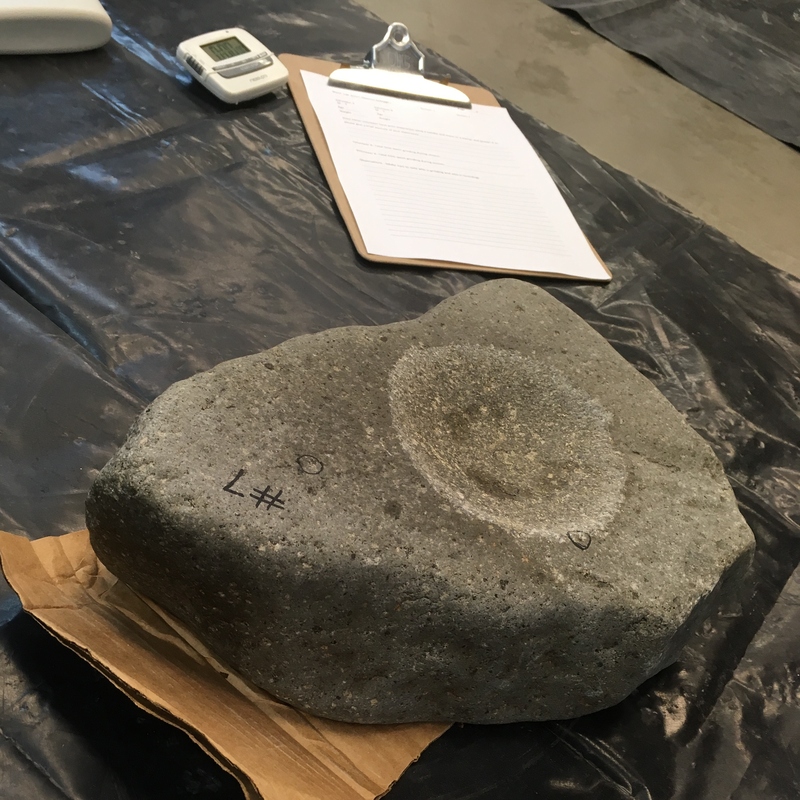 Our experimental results will provide information needed to model the relationships between tool sizes and shapes, raw materials used for grinding, and wear and tear on the tools used. Product output and labor costs (time) can also be calculated. 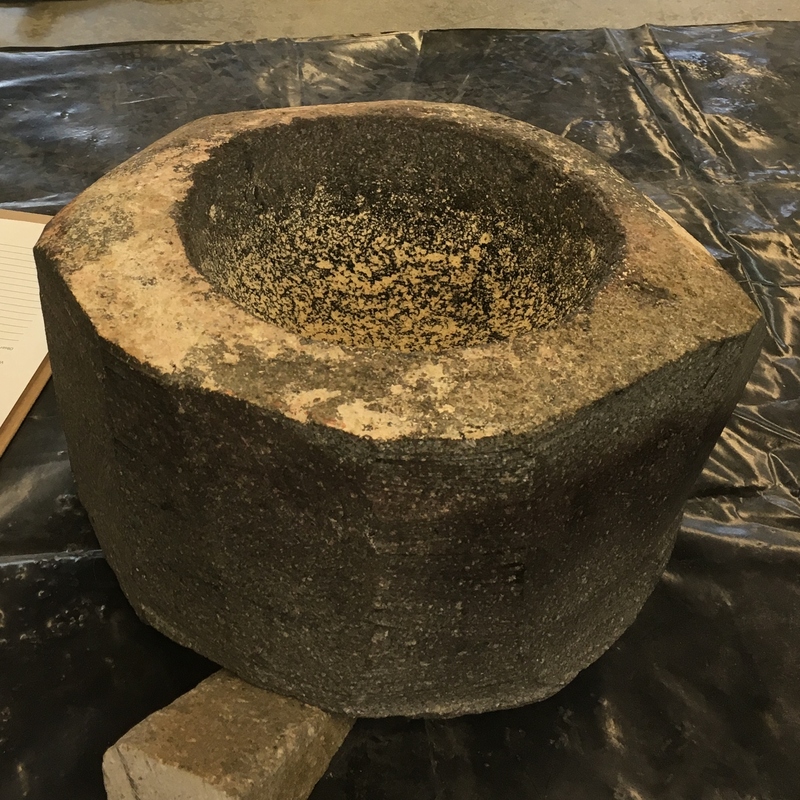 The outcomes will help archaeologists interpret wear patterns and guide the best techniques for sampling organic residues on milling gear found at archaeological sites. Another grinding experiment with Dr. Buonasera is tentatively planned for early June, 2017. 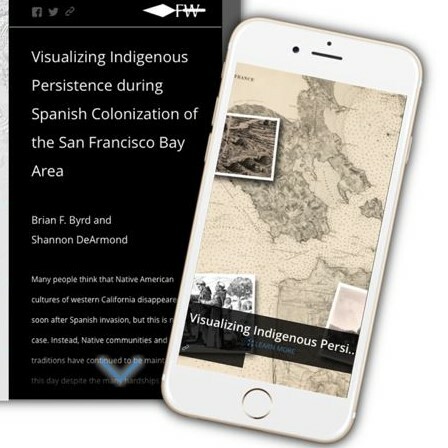 This experiment will feature the invaluable participation of Dr. Helen McCarthy of Davis, who has worked with native California elders for decades, emphasizing women’s processing of acorns and other plant foods. Far Western, as well as the local archaeological community, would like to thank Tammy for coming out and hosting a successful evening.